Just about every business these days have a website, including restaurants and cafes. Most people don’t think about visiting a cafe’s website since they plan on ordering their hot and cold drinks directly at the brick-and-mortar store but with simple website redesign tips you could vastly improve how you market the business to your consumers. If you’re planning to change your homepage to include a Flash advertisement of the business or several picture slides of your drinks then stop right there. Websites are moving towards a new trend these days: flat and minimalistic. This means you should say farewell to the heavy Flash media content and stick with a simple core design. Most websites are sticking with three columns, white backgrounds, and little to no sparkles and jazz. This flat design will keep your site clean, quick to load, and professional to look at. Don’t waste time redesigning just to make separate portals for computers and mobile devices. Stick with one design that works for all devices. For that same purpose you’ll discover that minimalistic designs work the best because they aren’t cluttered with unnecessary content. Responsive designs are great for all platforms because they can be viewed on any device but also because they are intuitive to navigate through, whether you are using a mouse or your fingers on a touch screen. Keep that in mind because the consumers browsing through your online menu might be on their laptops or on their tablets. For a cafe you want to make sure that the new design focuses on your menu before anything else. No matter how good the ambiance of your place is or how many cool photos and videos you could upload on the site, you want to focus on the actual product you sell. People will visit your site to see what’s for sale and for how much, not to just browse your gallery. Believe it or not, so many cafe’s have skeleton websites. These are sites that don’t have anything in them except for a homepage, a contact/about us page, and a gallery of their menu items. Avoid this and go for a minimalistic design that showcases your products. 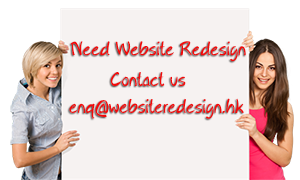 Even if your product is sold offline you want to treat the redesigned site like any other web page. This means you need to carefully audit for SEO, check with Google Analytics to track how each page is performing, and to sign up with a webmaster tool so you can alert search engines you’ll be making a URL change. Don’t forget to 301-redirect your pages. Make sure you follow basic keyword SEO procedures and make sure your content is at top notch quality. Just because you’re selling offline it doesn’t mean you can dismiss the value of your website.